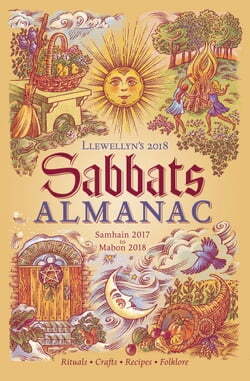 Make your seasonal celebrations even more magical with Llewellyn’s 2018 Sabbats Almanac. Packed with rituals, rites, recipes, and crafts, this helpful guide offers fun and fresh ways to celebrate the eight sacred Wiccan holidays and enhance spiritual life throughout the year. Get a new perspective... read more on honoring the Wheel of the Year from your favorite Wiccan and Pagan authors. Plan spiritually uplifting celebrations and sustainable seasonal activities. Perform Sabbat-specific rituals and family activities. Create tasty treats and crafts as reminders of the season’s gifts and lessons. Also featured are astrological influences to help you plan rituals according to cosmic energies.